Kitchen & Bathroom Renovation Company Sydney. 40+ yrs exp. 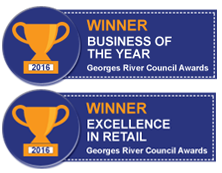 We are an award winning home renovation company Sydney. Our home renovation showroom is conveniently located on Stoney Creek Road, Beverly Hills where you’ll find all your kitchen renovation, bathroom and laundry remodelling requirements in one convenient location. From start to finish we can manage the installation of your new kitchen, bathroom or laundry from start to finish. We also offer a cost effective remodelling, upgrade and renovation service. Abode Renovations is committed to supporting the local community. In 2015, Abode Renovations participated as a Gold Sponsor for the local Oatley Art and Craft Fair that raises money to fund improvements to the Oatley West Public School. Abode additionally sponsored the BBQ, providing aprons for all the volunteers on the day and donated gifts to be part of the silent auction. This sponsorship continued in 2016. Abode is currently working on a partnership with the Steven Walter Foundation to raise money and awareness for kids with cancer by providing uniforms, fundraising barbecues and attending several sporting events throughout the year. This also encourages Abode employees, family and friends to maintain a healthy lifestyle. 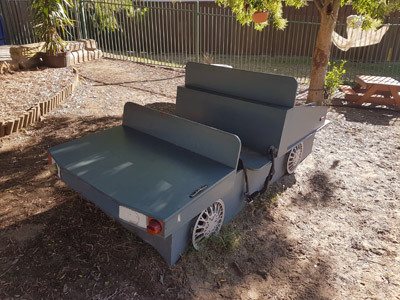 Abode constructed and donated a full size toy car for the kids to play on in the outdoor area. This continues to be an important piece of play equipment for the centre.